Hope you are all having a lovely weekend! 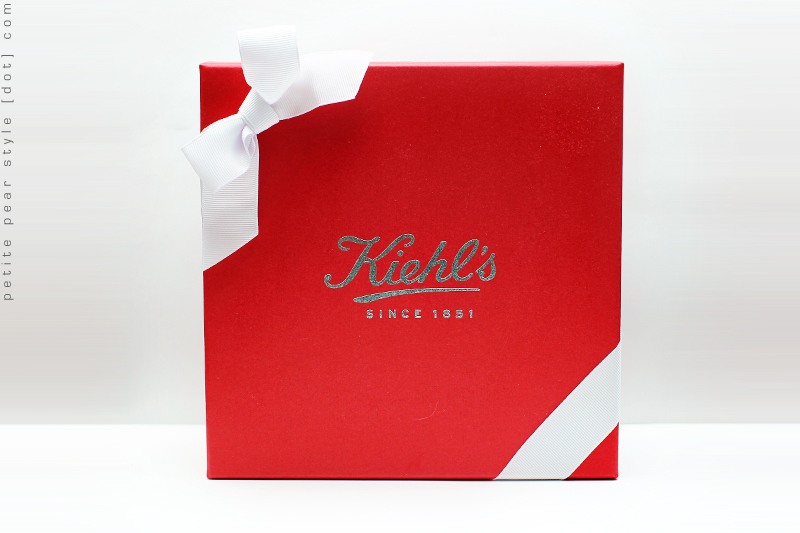 My hubby bought me this Kiehl's set a little while ago because he knows I enjoy trying new products. I love that he is supportive (and even feeds into) my addiction! So far, I've tried the Ultra Facial Cream, lip balm, and hand salve. Have you tried any of these products... if so, please let me know what you thought of them. I have used the powerful strength line reducing concentrate. I had the sample size and enjoyed it so much that I just bought the full sized. I love their midnight recovery. Really hydrates and softens my skin. Highly recommend that. i've heard gerat things about the midnight recovery... i have a sample of it somewhere (with the last gift set my hubby bought me) but have yet to try it... soon! thanks for your kind words... i will definitely check out your blog! thankfully, not a whole lot of products break me out (knock on wood)... that's definitely a good thing as i try so many products from beauty boxes! all my breakouts can usually be attributed to food but that doesn't stop me from eating everything in sight haha. Gasp! Look at those goodies! What a great set! 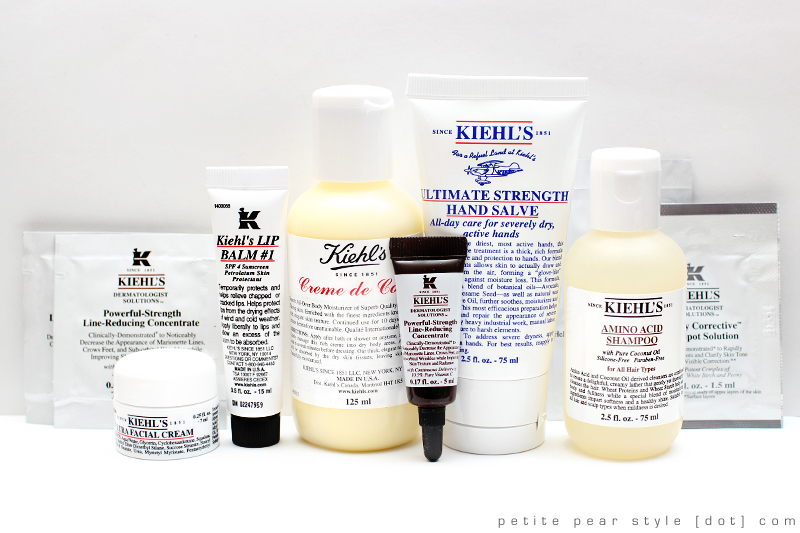 I have yet to try Kiehls, but it's my list for the year. You married a keeper!! he's a keeper alright! he bought me a similar set last year and i'm still in the process of working my way through the products! i am really enjoying the skincare items but i haven't been a fan of the haircare products. What did you think of the ones you tried? I haven't tried this brand yet...nor have I heard of it! I'd love to hear your feedback! i really liked the ultra facial cream but it would definitely be better as a summer cream (a little too light for me for winter). the hand salve is ok but but there others i prefer i terms of the scent (the hand salve smells like eucalyptus). the lip balm was ok too but not something i would purchase myself as there are less expensive products that work better on me. I have used the Creme de Corps, lip balm, hand salve, and amino acid shampoo. I liked all except the lip balm, which is a gloopy jelly and has a faint but unpleasant flavour/scent. Looking forward to your reviews! I have used the creme de corps and I love it. I think I have used the ultra facial cream and I don't have any issues with it. I like it because it comes in a travel size container. I am not a fan of the lip balm, it doesn't do anything for me. i really liked the ultra facial cream and the little jar it came in! i would definitely purchase that product - likely for a summer cream as it is a bit light for me in the winter. i don't recall the lip balm doing anything for me either... i seem to have lost it already.